Welcome to this issue of newsletter delivers you updated info. Thank you for your continuously support to RAYSTAR News. 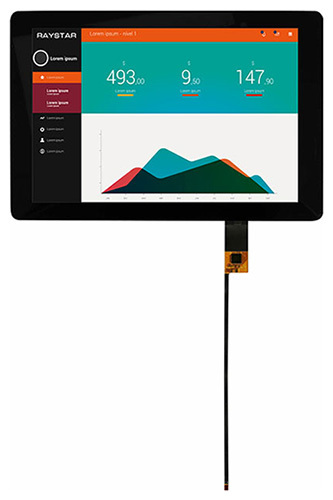 In July, we will introduce 10.1”TFT modules. 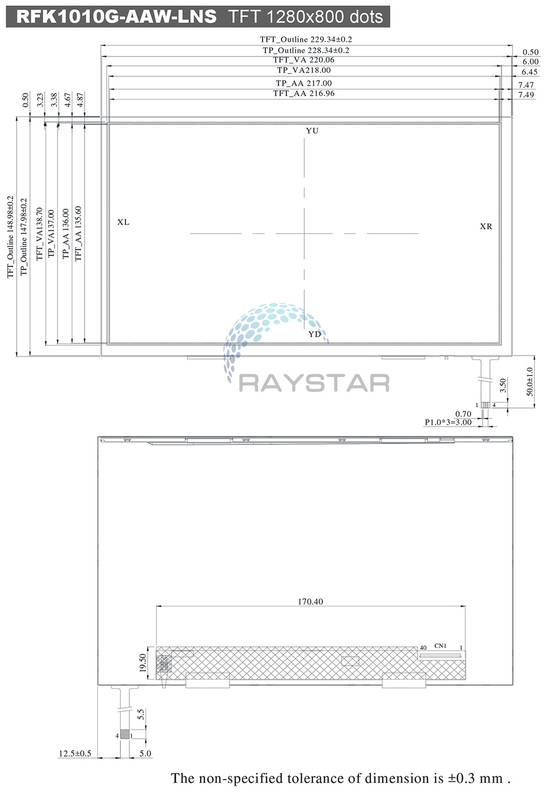 RFK1010G-AYW-LNG is a 10.1 inch IPS TFT-LCD module with Projected Capacitive touch Screen (PCAP). This TFT-LCD module is LVDS interface with high resolution of 1280 x 800 pixels. RFK1010G-AAW-LNG is featured with IPS panel which having the advantages of wider viewing angle of Left:85 / Right:85 / Up:85 / Down:85 degree (typical) and having HD resolution (WXGA 1280x800). RFK1010G-AYW-LNG is having a normally black display mode and LVDS interface 40-pin including typical brightness 300cd/m2 and contrast ratio: 800:1. The power supply voltage (VDD) for RFK1010G is from 2.3V to 2.7V, typical value 2.5V. RFK1010G-AAW-LNG is very suitable for HMI (Human-machine Interaction) applications or POS system, etc. 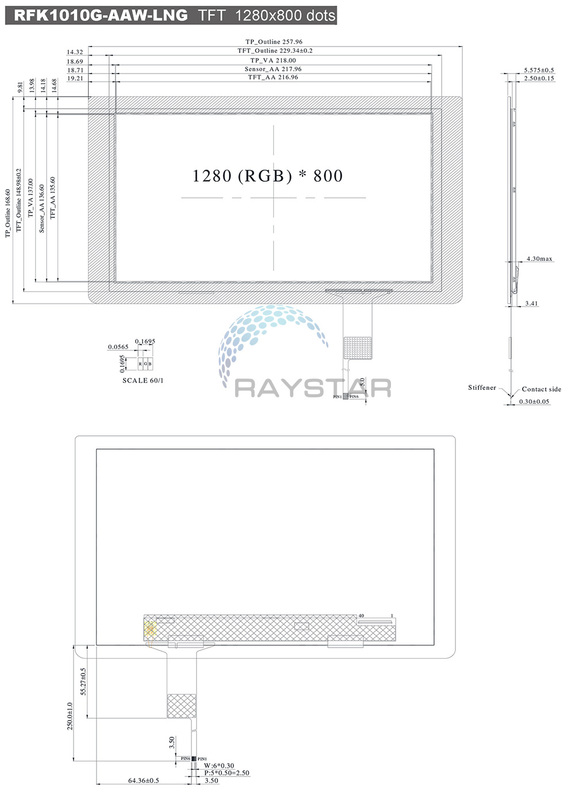 RFK1010G-AYW-LNS is a 10.1 inch IPS TFT-LCD module with Resistive Touch Screen. This TFT-LCD module is LVDS interface with high resolution of 1280x800 pixels. RFK1010G-AAW-LNS is featured with IPS panel which is having the advantages of wider viewing angle of Left:85 / Right:85 / Up:85 / Down:85 degree (typical) and having HD resolution (WXGA 1280x800). 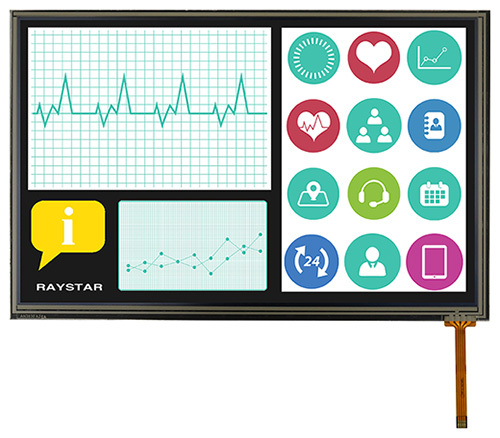 RFK1010G-AYW-LNS is an IPS TFT-LCD with a normally black display mode and LVDS interface 40-pin having typical brightness 250cd/m2 through RTP and contrast ratio: 800:1. The power supply voltage (VDD) for RFK1010G is from 2.3V to 2.7V, typical value 2.5V. RFK1010G-AAW-LNS is very suitable for HMI (Human-machine Interaction) applications or POS system, etc.